Everyone has questions about the dentists and their dental procedures. View the most popular dental FAQs to set you up for your next visit. A. To schedule an appointment, please call our Appointment Center listed on the website, or click here. Our Appointment Center hours are from 9 a.m. to 9 p.m.
A. When you arrive at Dental Sphere, you will be attended to and made comfortable by our receptionist. 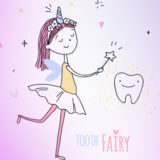 The dentist will then examine your teeth and gums – they might even take an X- ray to check your teeth thoroughly. The dentist will then explain to you if there’s a problem, and then provide you with the solution. A. Our priority is to diagnose and treat any urgent condition that pose an immediate threat to your oral health. Next is prevention, which means controlling the disease process, promoting wellness, and helping you maintain good overall oral health. 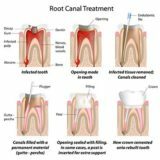 This is important to make sure that any major restorative work is successful in the long term. Once the chief complaint is taken care of, we proceed with the major restorative work which builds upon the healthy foundation. A. We offer several options for bleaching teeth: in-office, home (overnight or daily). One session of in-house bleaching generally lasts one to two hours, and you can read or relax during the treatment. 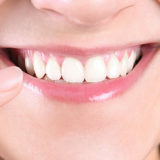 For overnight bleaching, we make an impression of your teeth and create a mouth guard that fits your bite. You’ll be directed to fill the mouth guard each day with a small amount of bleaching gel and wear it overnight, or for a few hours during the day. The overnight bleaching process takes approximately two weeks.